All skips are fabricated with thick steel side walls and heavy duty steel front and base plates. Additionally, the reinforced box section design is structured around the edges of the skip offering high levels of protection from excavator bucket collision. All dumpers utilise single heavy duty centre pivot pin and a single steering ram connecting the chassis sections. This design provides large articulation and oscillation angles for tighter turning and sustained ground contact. An articulation lock is supplied as standard for locking the two chassis in the forward position for transport and maintenance. Throughout the range heavy duty fabrications are specified to ensure all Terex dumpers can withstand the most difficult conditions and enthusiastic operators. Folding Roll Over Protection Structure or ROPS are fitted as standard to all site dumpers, whilst fixed versions are available on certain models. Front and rear road lights are available as an option and are fitted with extra heavy duty guards to protect against dirt and damage. All Mecalac site dumpers are designed to work on all types of terrain, high ground clearance across the range and permanent 4WD means they get where other vehicles can’t. Keeping instrumentation easy to read, intuitive to operate and simple to service is a fundamental part of the Rental Tough offering from Mecalac. 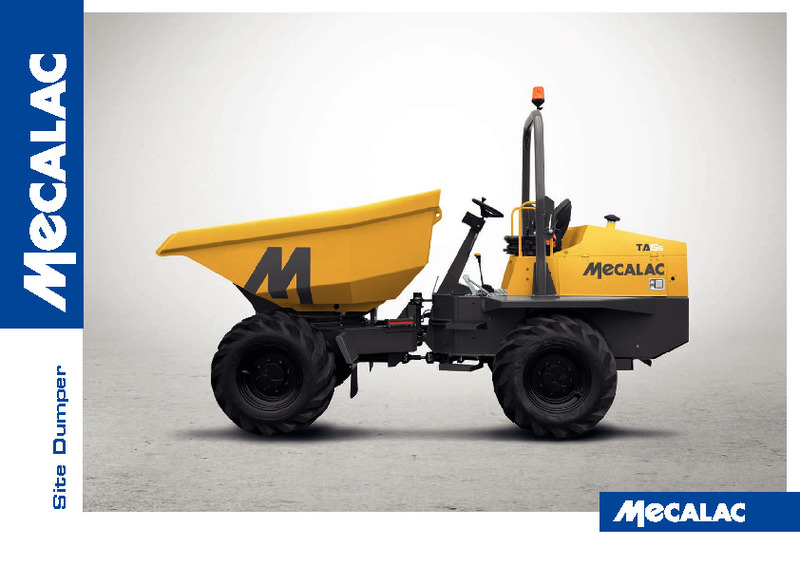 Do you need spare parts or accessories for Mecalac TA2H/ TA2SH/ TA2SEH 2 Tonne Dumpers?